Continuing our yearlong theme of “Myths and Realities,” this issue identifies relevant facts on family business programs at universities worldwide as well as featuring some of the results of the 3rd Annual Family Enterprise Case Competition hosted by the University of Vermont School of Business Administration early in January. Myth 1. No one knows how many family business programs there are worldwide. Reality: The FFI website has a link to a comprehensive list of these programs. Nearly 140 worldwide! Additional reality: This list is probably missing some programs and may include programs that are no longer operating, so please email The Practitioner if you have updates. Myth 2: They are mostly US–based. 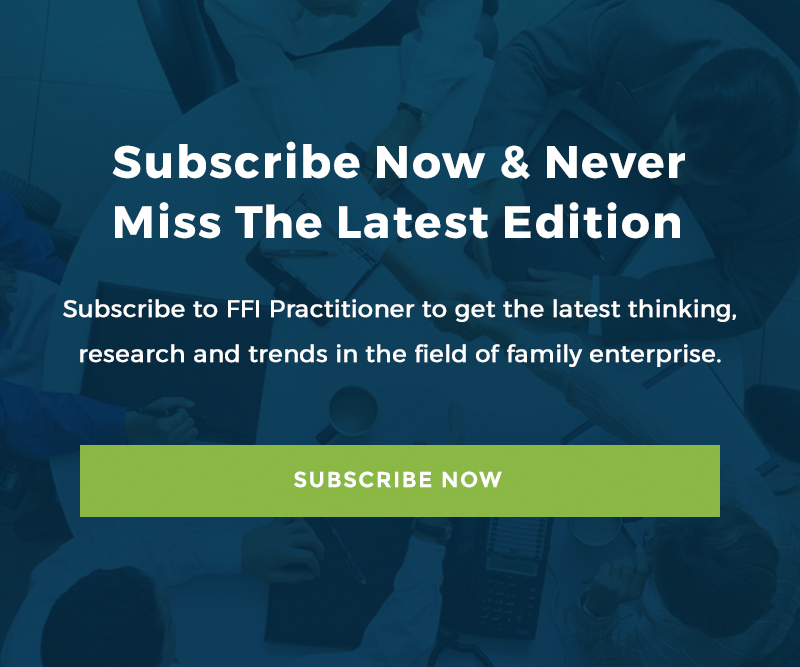 Additional reality: The newest program on the FFI list is Parampara Family Business Institute in Bangalore, India. This program is collaborating with FFI on its educational offerings. Go here for more information. Myth 3: There are relatively few undergraduate and graduate programs located in university-based business schools. Reality: The parameters of the undergraduate programs vary, but for the FECC events there have been nearly 30 different schools participating in the last three years. Kudos to this year’s undergraduate winner, Sprott School of Business, Carleton University, Canada. Myth 4: University-based programs are primarily composed of students from the school’s country. Reality: All of these schools have students from around the world. The 2015 FECC graduate division winner, Jönköping International School of Business, was composed of one Swede and two Germans with an Italian coach. The ESADE School of Business team had two Mexicans and one Saudi competitor on its team, with a Spanish coach. ICN Business School, France had one New Caledonian, two students from France and a coach from Niger who now lives in Belgium. Myth 5: No one wants to come to Burlington Vermont in January. Reality: Absolutely a myth! More than 225 students, faculty, coaches, judges and others from more than twenty countries braved the sub-zero weather in Vermont to make FECC 2015 another outstanding success. The Malaysian team traveled 39 hours to participate. And the judges? More than 50 from 10 countries including Austria, Canada, Colombia, India, Malaysia, Mexico, Netherlands, Poland, United Kingdom, and the US. Judges were family business members, advisors and consultants, educators and researchers. Thanks to UVM faculty and staff, Pramodita Sharma, Thomas Chittenden, Rocki-Lee DeWitt, Jie Zhang, Linda Kruger, John Turner, Nick Gingrow, Michelle Chapman — and student leaders Emily Bates, Arran Joyce, Yuqi Zhou, Ali Chipouras, Caroline Gay for their assistance with this article. Special thanks to Rustin Nethercott for his assistance with photos. Click here for more photos from the 2015 competition.